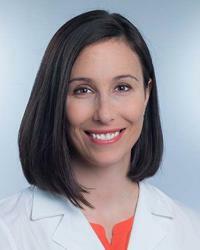 Dr. Danielle Antosh is a urogynecologist who specializes in the treatment of female pelvic floor disorders, including medical and surgical management of urinary incontinence and pelvic organ prolapse. She is board certified in Female Pelvic Medicine and Reconstructive Surgery. She also has expertise in minimally invasive pelvic surgery, including robotic, laparoscopic and vaginal surgery. She is a contributing physician for the Houston Methodist Center for Restorative Pelvic Medicine. She grew up in Houston and attended the University of Texas at Austin for her undergraduate degree. Subsequently, she earned her medical degree from the University of Texas at San Antonio. She completed her Obstetrics and Gynecology internship and residency at the University of California Los Angeles, and then completed her fellowship in Female Pelvic Medicine and Reconstructive Surgery (Urogynecology) at MedStar Washington Hospital Center/Georgetown University Hospital in Washington, D.C. After graduating from fellowship, Dr. Antosh returned to Texas to join the Department of Obstetrics and Gynecology at Houston Methodist Hospital. She has several research grants and awards, including the ACOG/Boehringer Ingelheim Research Award in Female Sexual Dysfunction. Her research interests include surgical outcomes of pelvic organ prolapse and urinary incontinence, sexual dysfunction, and resident education. Dr. Antosh has authored sixteen peer-reviewed articles, and has presented her research at the American Urogynecologic Society, Society of Gynecologic Surgeons, and the American Association of Gynecologic Laparoscopists annual meetings. She is a fellow of the American Congress of Obstetricians and Gynecologists. She is proud to be a contributing physician for the Houston Methodist Center for Restorative Pelvic Medicine, evaluating and treating women with complex pelvic floor disorders.